The average business loses around 20 percent of its customers annually, simply by failing to attend to them. In some industries, this leakage is as high as 80 percent. As you can imagine, the costs associated with this are staggeringly high, and excessive spending on advertising for new customers doesn’t bring in as much return as simple retention strategies do. We talked in this article about why it’s important to look to improve your customer retention rate (CRR) and how you can set up an effective customer retention strategy. Now let’s look at some examples of specific processes you can put in place to help with your CRR. If you want to know whether your customers are happy, you need to do the research. At Groove HQ, this means a Net Promoter Score Survey being sent to customers every three months, which asks two simple questions; 1 – How likely are you to recommend Groove? and 2 – What is the reason for your score? The information received offers clear insight into what increases customer happiness. 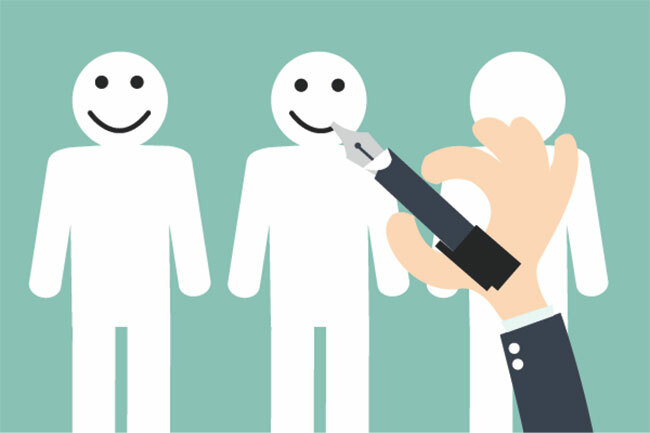 For happy customers customer service must at least meet normal standards, but exceeding expectations is a powerful way to get customers talking. Going above and beyond for your customers – with small customer appreciation gifts, personalised emails or a handwritten note – can, according to American Express, have customers sharing their good experience with an average of nine people. One of the quickest ways to acquire customer loyalty is to stand for something. When you stand for similar goals, it builds an automatic connection with the customer that’s difficult to break, and shared values are often one of the biggest reasons why customers choose to stay with a brand. Your customers chose to do business with you because they saw something they liked, but it doesn’t hurt to offer them gentle reminders of the value you offer. Take the example of Fancy Hands, a personal assistant service that handles everything from waiting on hold to your phone company, to making reservations for restaurants. Fancy Hands love to highlight how much time their customers have saved, making their value clear and visible. If your customers want to talk to you about something, they want to know how to contact you quickly and easily. Forcing them to search for your contact details will only lead to frustration, so prominently display instructions for getting in touch, or offer a support widget on every page. Delivering additional benefits or support on top of your product or service means you will become a trusted advisor customers can depend on. Offering education via a blog or monthly email shows you are willing to lead your customers to success, and this help will lead to increased loyalty. By individually recognising your customers, you can cater directly to them by crafting a brand message that perfectly matches their plans, goals and aspirations. Selling to customers the “correct” way is an integral part of creating customer loyalty. Loyalty cards that are rewarded from the moment a customer signs up are twice as likely to be finished then ones they need to build on, and people love being part of a program or VIP club. The key, however, is to know why customers use them and what gets customers to keep using them. Rewards need to be appropriate and achievable.